∫ The Doghouse Carpenters: Gloversville Farmers Market, Elm Street pavilion, Gloversville, 9 a.m.
∫ Bob Boyer: Sport Island Pub, 108 Riverside Blvd., Northville, 2 p.m. No cover. ∫ J. Marco Johnson: Lakeside Tavern and Marina, 306 Woods Hollow Road, Gloversville, 4 p.m. No cover. ∫ Eighth annual Spirit of the Wolf Native American: Pine Park, 29 Pine St. Extension, Broadalbin, gates open 9 a.m. to 6 p.m. Grand entry begins, 11 a.m. $6 each for adults; $5 for seniors; free for children under age 12. Two day passes are available — $10 for adults; $8 for seniors. ∫ Eighth annual Spirit of the Wolf Native American: Pine Park, 29 Pine St. Extension, Broadalbin, gates open 9 a.m. to 5 p.m. Grand entry begins, 11 a.m. $6 each for adults; $5 for seniors; free for children under age 12. Two day passes are available — $10 for adults; $8 for seniors. ∫ The Sophisticats: Lakeside Tavern, 306 Woods Hollow Road, Gloversville, 6 p.m. No cover. ∫ Bob Stump and Friends: The Revival, 1441 Route 30, Wells, 7 p.m. $10; $5 for children under age 12. ∫ Matt Bosworth: Double Eagle Restaurant-Kingsboro Golf Club, 301 Kingsboro Ave., Gloversville, 7 p.m. Make reservations at (518) 725-4653. ∫ Aaron Mittler: 19th Hole Nick Stoner Inn, 1810 Route 10, Caroga Lake, 7 p.m.
∫ Doc Orloff Duo: Russo’s Adirondack Grill, 3664 Route 30, Broadalbin, 7 p.m. No cover. ∫ Tim the Tune Man and Karaoke: 1854 Pub and Eatery at the Broadalbin Hotel, 59 W. Main St., Broadalbin, 8 p.m. Free event. 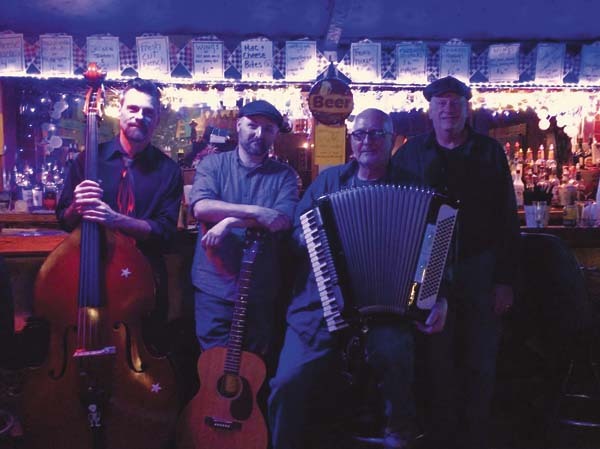 ∫ Waystintym Band: Gloversville Moose, East State Street, Gloversville, 8 p.m. Open to the public. ∫ Tomkins Drive: Patricia’s, 32 S. Perry St., Johnstown, 9 p.m.
∫ Third Rail — End of Summer Bash: Sport Island Pub, 108 Riverside Blvd., Northville, 9:30 p.m. $5 cover. ∫ Doc Orloff Duo: Top Notch Tavern, 712 County Hwy. 132, Hagaman, 6 p.m. No cover. ∫ One More Time: Old Trail Inn, 232 N. Shore Road, Edinburg, 6 p.m. No cover.